In Chinese medicine, the kidneys are most prevalent in winter, which I’ve already told you about. One of the things that kidneys rule is the nervous system because they regulate your physical brain. This means all the neurotransmitters, and all the chemicals your brain produces. In winter, you might be more prone to having feelings like depression or anxiety – symptoms that you might not always have at other times of the year. You may feel more easily exhausted and overwhelmed, especially if you already have a tendency to feel overwhelmed. It’s interesting that the holidays are often times where we might naturally be overwhelmed because there is so much going on at this time. Try drinking lots of water and staying hydrated. Get to sleep at a reasonable hour, and try to rest as much as possible. If you’re having a hard time falling asleep – try staying up in a very relaxed situation without any devices or distractions until you feel very sleepy, that way when you lie down you drift off right away. In the last hour or so before going to bed, do some relaxing things such as brushing your teeth, praying or meditating, to wind down the day and facilitate sleep. Exercise consistently – this is a time of year you would do more gentle exercises. It would be especially good to get outside and get some sun – it provides vitamin D and a certain spectrum of light that can help you feel better. Take a yoga class two times a week. Life weights a few times a week. Take a walk if the weather allows. Do something to get your body moving. I would recommend that you do some sort of exercise for at least 20 minutes five times a week. This will keep your body moving and help your body release the stress. Avoid sugar when you at all costs – it can make you feel more prone to anxiety. First thing in the morning eat a high protein breakfast, this will make sure your blood sugar is at a good level. That way, you just have to keep the blood sugar consistent throughout the day which will, in turn, keep your body calmer and make you less likely to be overwhelmed by stress. Spend 3-8 minutes a day in quiet meditation – science has shown that it makes a HUGE difference. Here is a list of some basic nervous system support supplements which will help set the foundation of a calm mind and heart. All of this together will make sure that you get enough nutrients to support your nervous system. “Dr. 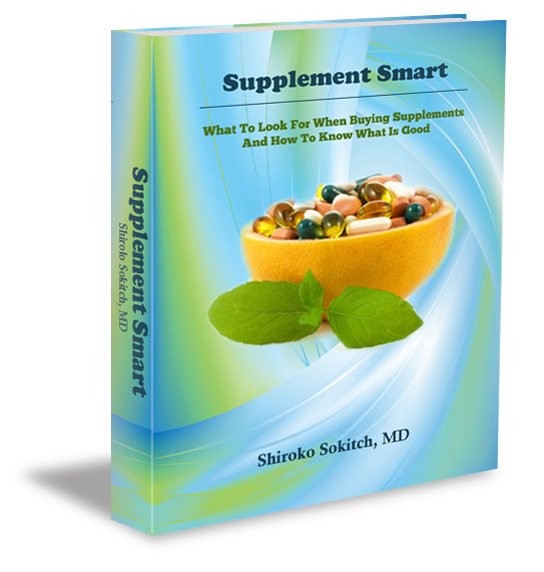 Shiroko’s Multivitamin” which contains all the minerals (except magnesium and calcium), B and D vitamins you need in a once-per-day pill. Take extra Magnesium – it is calming to the nervous system and helps relax your body. A high-dose Omega 3 fatty acid, will help stabilize your hormones, your nervous system, and your immune system. L-Theanine, an amino acid found in tea leaves is known to aid in relaxation. So even though there is caffeine in tea, drinking it can have a calming effect that some people find preferable to coffee. L-Theanine is also available in capsule form, it’s a wonderful, safe, non-harmful or addictive supplement that can help you get relaxed and remain calm. Another wonderful supplement to take when you’re stressed is Holy Basil an Ayurvedic herb that just happens to be one of my favorites. Holy Basil helps to balance your adrenals so that you become fatigued less often, and also reduces your cortisol levels which at high levels can cause depression, anxiety, and irritability. GABA – is a neurotransmitter that calms the mind – it helps when you need sleep, and helps you be more relaxed. 5HTP is a supplement that helps increase your natural stores of serotonin – and serotonin is the brain chemical which helps you be happy, stay calm and overall feel better. One of my favorite ways to relieve stress is to do something I love. For me, that’s dancing – taking a salsa or bachata dance class or playing hooky one day and going up to the mountains for a ski day. But pleasure can be simple as well, it can be looking at a beautiful flower, or calling a dear friend, or watching a silly YouTube cat video – to make you laugh. Laughter is one of the most healing tools for stress. My prescription is for you to try to do something that gives you pleasure at least once a day. Remember to like my page on Facebook, Heart To Heart Medical Center and ask to join my Facebook group Heroic Healing. Also, you can buy my new book HEALING WHEN IT SEEMS IMPOSSIBLE: 7 KEYS TO DEFY THE ODDS on Amazon.